The NFC Forum had its ‘traditional’ NFC Zone at Cartes & Identification 2008, the main smart card industry trade show of the year, with demonstrations available from members including Legic, Nexperts, Toppan Forms, Stolpan and others, and also held a press briefing to announce its new chairman, Sony FeliCa’s Koichi Tagawa. But, this year, NFC also had a presence in the exhibition halls that went way beyond the confines of the NFC Zone itself. In particular, contactless stickers were on display on several stands, most of the established card industry players were involved with NFC in one form or another and it became very clear that the whole Trusted Service Manager marketplace is going to become highly competitive indeed. NFC Forum stalwarts NXP and Sony FeliCa both had substantial stands at Cartes, with Sony FeliCa making a significant impact at the show, along with its new North American manufacturer Versatile Card Technology (VCT). NXP had a particularly busy time, announcing a significant extension of its Mifare licensing deal with Renesas and providing details of the new Mifare4Mobile initiative. Amongst the specialist contactless and NFC suppliers, Vivotech had a flurry of announcements to make. In the last few weeks, the company has supplied its NFC provisioning software to Visa for its new NFC payments trial in Guatemala, added Atari and Nintendo veteran Don Kingsborough to its board of directors and launched the ViVOpay Kiosk II, a flexible NFC-compatible contactless payment reader designed for use in kiosks, turnstiles, bus validators and other ticketing applications. 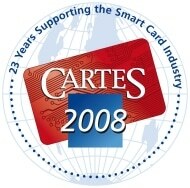 Vivotech was also a finalist in the loyalty category at the Cartes show’s Sesames awards with its NFC-based one-to-one marketing, location-based promotion and smart poster management system. Most of the major card industry players now have an NFC offering, whether it’s an NFC-enabled SIM, reader or service management solution. Oberthur launched a software development kit dubbed ‘NFC in a Box’ whilst Giesecke & Devrient picked up a Sesames award for its ProxSIM, the NFC-enabled SIM used in Deutsche Bahn’s NFC trials. Sagem Orga, meanwhile, announced a development deal with French start-up Neowave that will see the production of a USB ‘smart object’ with a contactless interface that also contains a SIM. Known as SIMply U and based on Neowave’s Weneo NFC technology, the idea is that the device can act as a bridge between a subscriber’s mobile phone and their PC, enabling a mobile operator to offer new, secure internet-based services. Beyond this, says Sagem Orga, the technology partnership will also explore new use cases for such devices in areas such as transportation, payment, location-based services and entertainment. SCM Microsystems also has an ‘NFC dongle’, the SCL3710, which is designed to provide a link between NFC-enabled mobile devices and computer or web applications. The company has also recently released the @MAXX Prime, also aimed at creating a bridge between a customer’s mobile phone and his PC. Gemalto demonstrated NFC applications and a new prototype handset from LG. The KU380-NFC, currently available for demonstration purposes only, uses STMicroelectronics’ ST21NFCA system-on-chip and features both PayPass contactless payment capabilities via a Gemalto (U)SIM card and built-in contactless reader functions. STMicroelectronics also has a new NFC chip, the ST33F1M, the first in a new ST33 family targeting the high-end SIM market and based on the SC300 highly secure version of the ARM Cortex-M3 32-bit core. The new chip features 1.2Mbytes of embedded Flash memory with 30Kbytes of RAM and an SWP (single wire protocol) interface for NFC. Elsewhere amongst the chip manufacturers, Infineon had a prototype of a new Secure Element on show, alongside its SLE 88 family for Mobile NFC — smart card microcontrollers with SWP (Single Wire Protocol) and Mifare interfaces — as well as its my-d NFC chip for Type 2 NFC tags. Samsung also has a new NFC chip on the horizon, with a launch date set for the first quarter of 2009, and brought Korean IT specialists SK C&C along to Cartes to demonstrate the development work the company has been doing with the µSIMneo NFC-enabled USIM. Visa and MasterCard also had large stands, predominantly promoting their respective contactless PayWave and PayPass solutions, but both also had mobile payments experts on hand to discuss NFC as well. And, on the payment terminals front, the ‘big three’ of Verifone, Hypercom and Ingenico all now offer NFC-compatible contactless card readers. The product evaluators, consultants and testers have also moved firmly into the NFC space with Collis, Comprion and Soliatis all offering NFC testing and evaluation solutions at the show. FIME, meanwhile, announced that it has started working in partnership with Inside Contactless in a bid to identify and resolve potential conflicts in the interoperability of NFC devices and to develop a comprehensive process, support and service portfolio for testing and certifying NFC mobile handsets. Contactless stickers seemed to be everywhere with both established supplier On Track Innovations and Inside Contactless demonstrating products. Whilst, for most, the idea of a contactless sticker attached to the back of a mobile phone is a very long way from being true NFC, their potential as a way to acclimatise consumers to the idea of using their phones to make a payment and to leapfrog the need to have an installed base of NFC-enabled handsets before a payments system can be introduced is clear. Inside’s new contactless stickers were being demonstrated by both Inside Contactless and US card manufacturer CPI Card Group, which has signed a manufacturing agreement with Inside that will see it produce the new payment stickers in the US. CPI says it expects to ship several million stickers over the next year and is in talks with ten top US financial institutions. And, in a separate agreement, HID Global signed up with Inside to manufacture MicroPass contactless prelaminates in the US (which CPI will then turn into finished stickers). Twinlinx, meanwhile, was generating a lot of excitement with its My-Max prototype, a sticker that combines a Bluetooth receiver, NFC transmitter and a chip which adds a layer of encryption. Developed in partnership with Mobile Distillery, My-Max is designed to let any Bluetooth-enabled handset act as a fully-featured NFC device. To create the solution, Mobile Distillery worked with Twinlinx to create a Java ME layer which can access Twinlinx’s Bluetooth NFC module, called My-Max. This module, which takes the form of a small sticker that sits on the back of the handset, combines a Bluetooth receiver and NFC transmitter, as well as a chip which adds a layer of encryption, making sure any data sent using the module is secure. And Chinese smart card manufacturer Watchdata caused a lot of interest with its SIMpass ‘Single Card Near Field Communication (SC-NFC)’ solution. Already extensively field tested in China and Thailand, SIMpass comes in two versions. In the first it is built into a handset as a secure element and in the second it is retro-fitted to existing handsets (the company says it is compatible with 80% of handsets). Here, the antenna is connected to the SIMpass module and the SIMpass module itself is inserted as normal into the SIM slot on the phone. Attached to the SIM, though, is the antenna and the user simply removes the back cover of the phone and then places the antenna between the battery and the back cover where it can be kept securely. There was lots of activity in the Trusted Service Manager (TSM) space, an area that seems to get more complex by the week. Existing suppliers Venyon and Gemalto were there, of course, along with Bell ID, which has since announced it is working with British mobile banking services provider Monitise to establish a shared trusted service manager approach for NFC systems. ABnote was also talking trusted service managers at the show, after announcing its entry into the TSM space with the creation of a new partnership with Datacard called Redwave Solutions. The new company plans to create a global trusted service manager and will offer NFC application and support services via a network of value added resellers and secure processing centers. Also being demonstrated on the ABnote stand was the new remote application management solution for NFC that ABnote subsidiary Proxama has developed in conjunction with Aconite. The new solution allows a customer to do everything from cancelling the payment application because their phone has been lost or stolen to adding a ticketing application or an access control facility for a new job, all over-the-air.